Osnova Party leader Serhiy Taruta has proposed creating a national innovation agency for technical and consultative support of startups so that Ukraine could make a rapid innovation jump and enter the list of the world's 30 most economically developed countries before 2030, Taruta's press service has reported. Speaking at parliamentary hearings "The national innovation system: the state and legislative support for development," he noted that Ukraine ranked 50th in the Global Innovation Index 2017, but has every reason to reach the top 30 by attracting investment and developing innovation. According to Taruta, human capital is of key importance for achieving the goals, and the national innovation system itself must develop in several key areas. "We need to accumulate intellectual capital. We need to understand what kind of professions of the future we need today. Only systemic monitoring and forecasting of technology development in line with the latest global methods, such as foresight, can give us this answer. This is the task for our Education and Science Ministry. 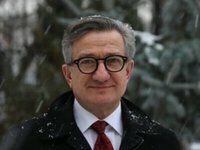 The systemic development of the national foresight of Ukraine's economy is the number one task for the government," Taruta said. In addition, according to him, it is necessary to stimulate the domestic innovation market, in particular, to implement the state program for micro-crediting to innovative clusters "Science-Business-Education." To implement this program, it is necessary to create a Bank for Innovation and Development, which can become a pilot project for the implementation of such a public-private partnership. According to Taruta, another necessary condition for innovative development of Ukraine is the creation of clusters of technological entrepreneurship, which will appear as a result of the microcredit program. "In order to provide technical support and consultative support, I propose creating a National Innovation Agency, which has exclusively the service functions to facilitate the protection of intellectual property and increase patent activity. Thus, at the state level, we will create all the necessary prerequisites for an innovative jump in Ukraine," he said.